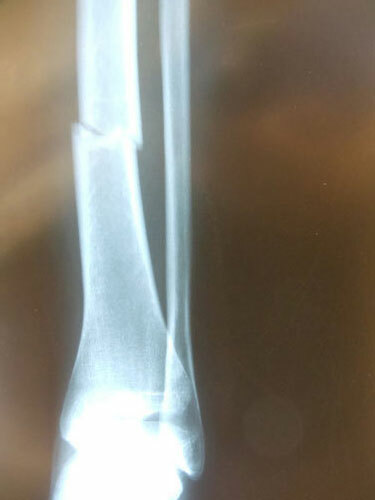 Pictures below show a 60-year-old woman who fell getting out of bed and broke the shaft of her tibia as has a distal fibular fracture. 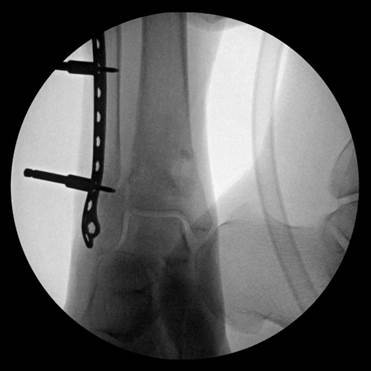 This was treated with an Intramedullary rod as well as a surgical plate and fixation with screws of the fibular fracture. 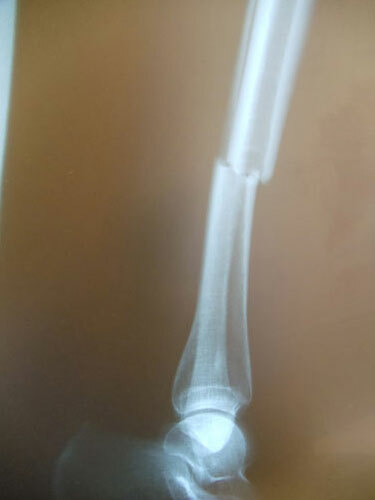 Pic of a 60-year-old woman who fell getting out of bed and broke the shaft of her tibia and has a distal fibular fracture. 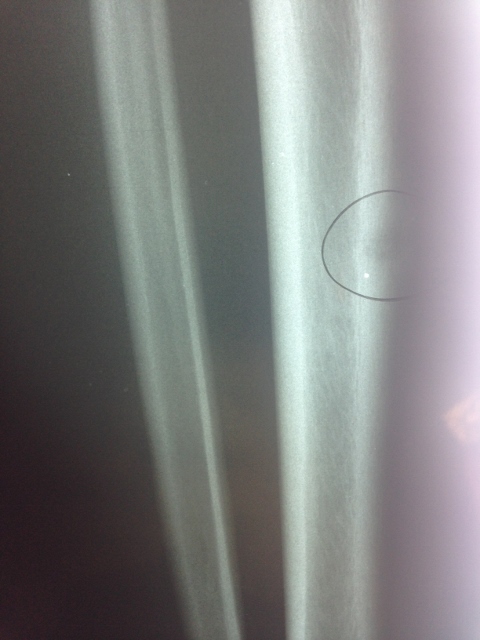 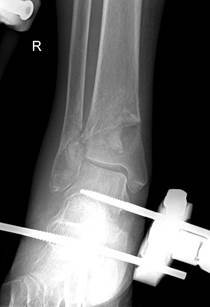 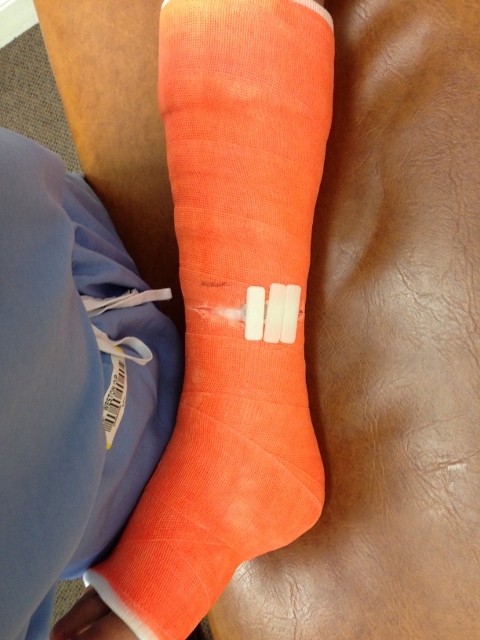 This was treated with an IM rod and plate and screw fixation of the fibular fracture. 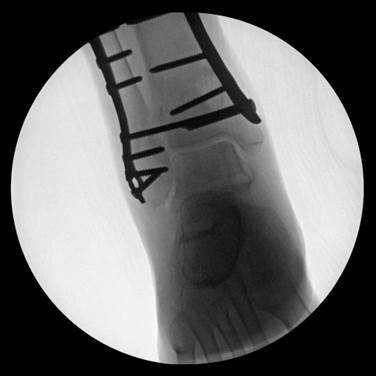 Below is a post-surgical x-ray of a fracture of the metaphysis after repair with screws and wires, one of which is a wire that was placed percutaneously (through the skin) and was then later removed. 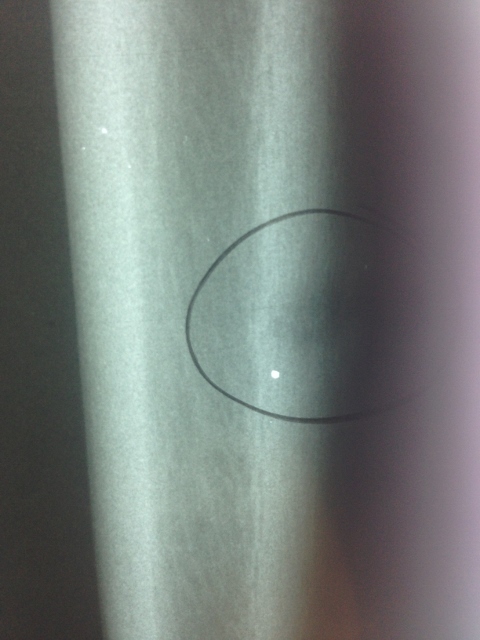 Below is post-surgical film several weeks after repair after the percutaneous fixation pin was removed. 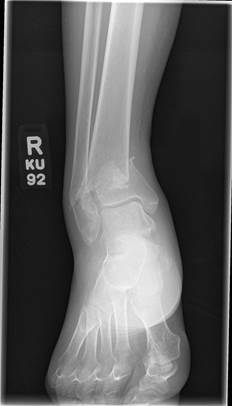 This a series of x-rays in a woman with diabetes, poor vascularity and neuropathy. 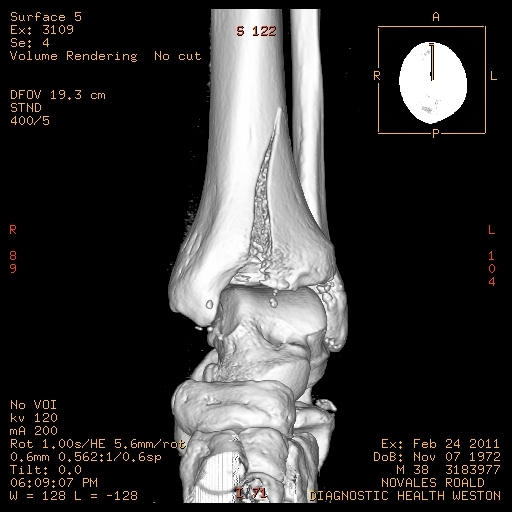 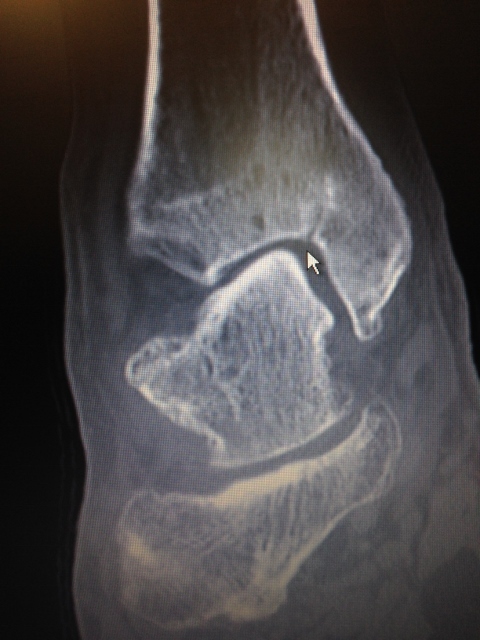 This injury was initially stabilized using an Ex-Fix. 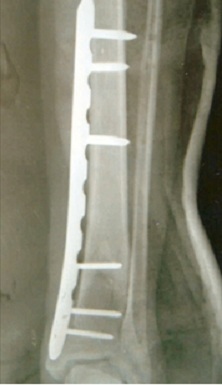 After, the definitive repair was performed using percutaneous plates and screws. 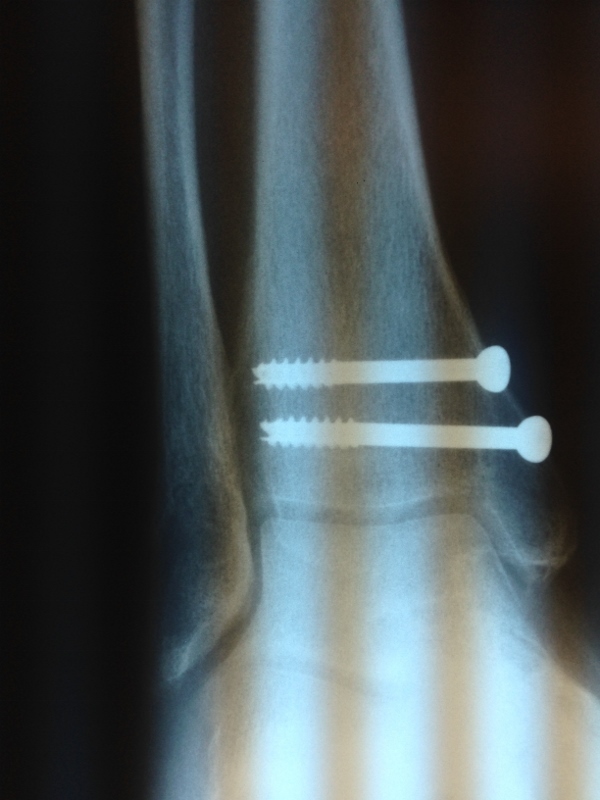 This is a minimally invasive surgery that only requires small stab incisions to place the hardware. 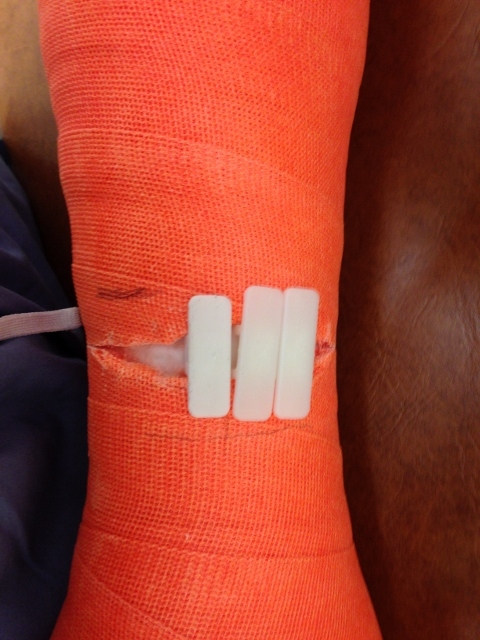 This significantly decreases the chances of complications. 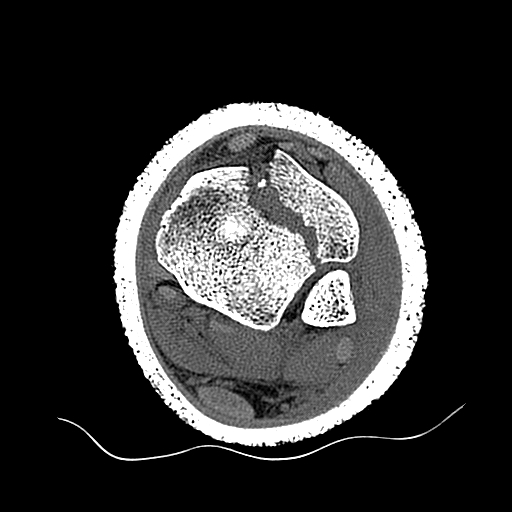 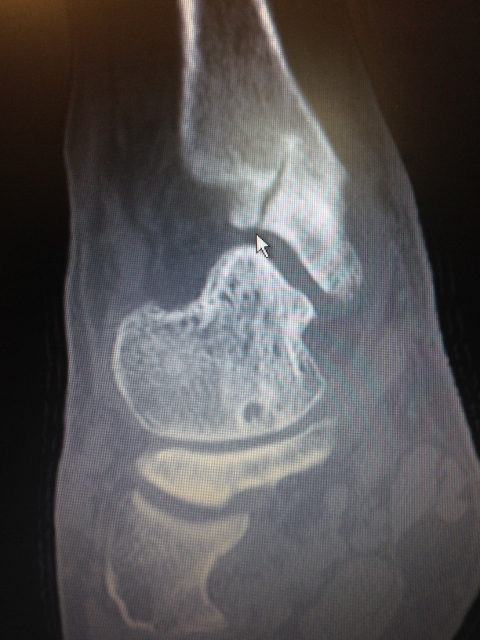 The following images are a case of a diabetic patient with a grossly displaced ankle fracture who initially thought she had suffered an ankle sprain. 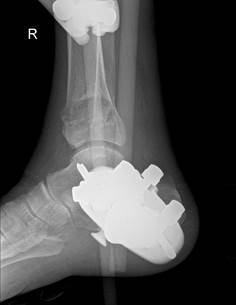 She became alarmed with the ankle joint started to displace with she was walking. 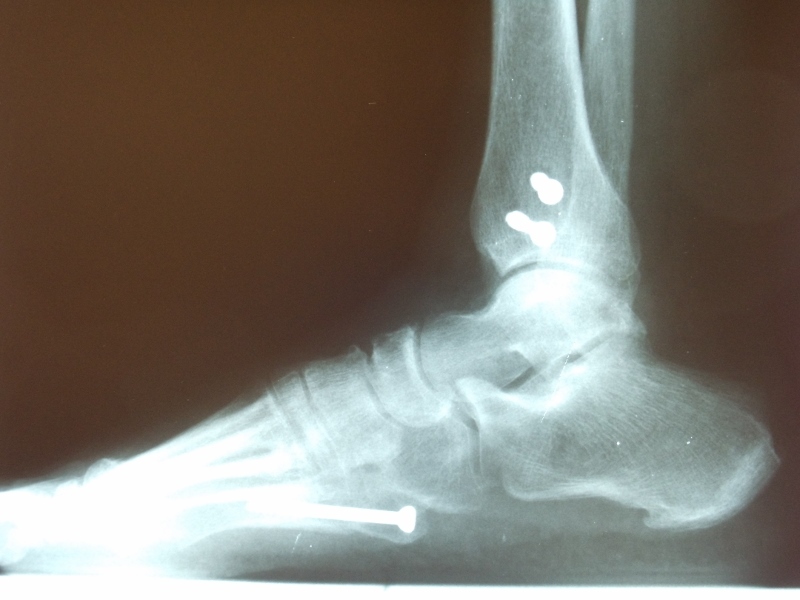 She had not experienced a lot of pain because of the condition that diabetics can suffer from called neuropathy. 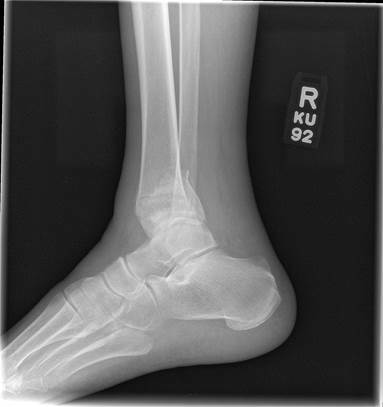 The first set of images is pre-operative x-rays, which demonstrated the displacement. 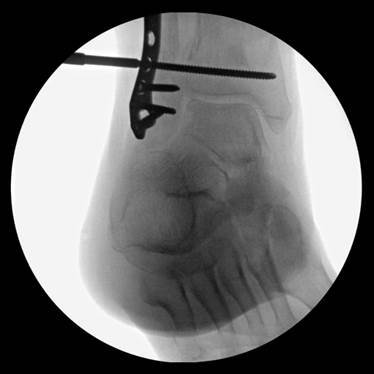 A staged provisional reduction was performed using an external fixator to control swelling and allow for a proper medical workup. 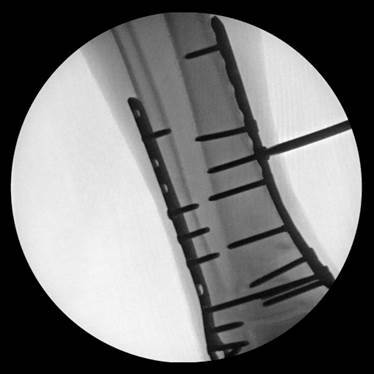 X-rays are taken during surgery show re-alignment of the previously displaced fragments. 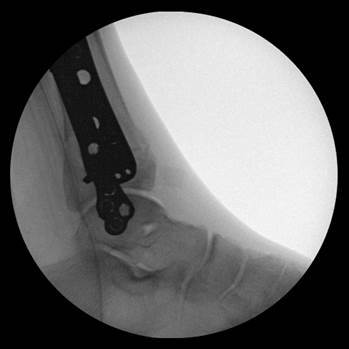 In the final stage of the repair (open repair with internal fixation), fluoroscopic images two weeks later indicated removal of external fixation and good reduction of the bone fragments with internal fixation using locked, minimally invasive, percutaneously placed plating and screws of the tibia and fibula. 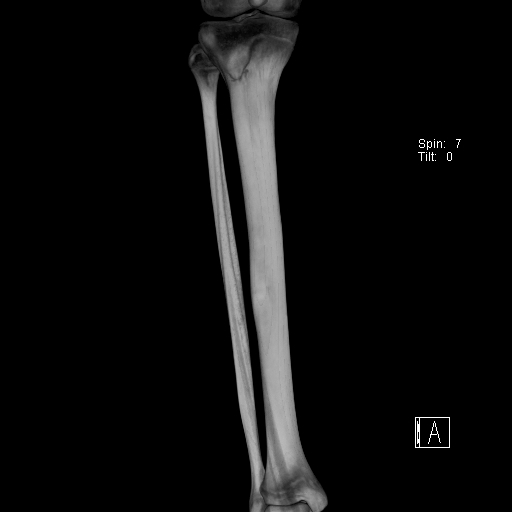 Anatomical alignment has been restored. 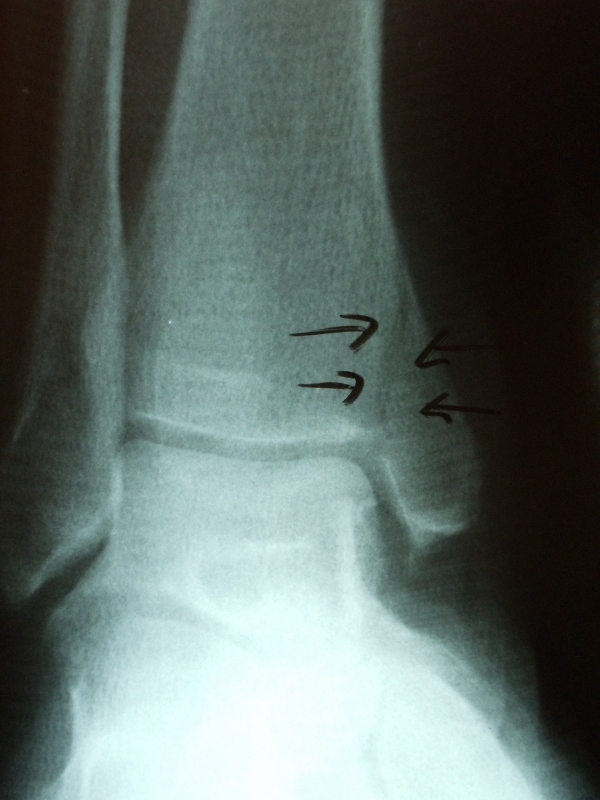 Microfractures that occur in any bone in the lower extremity or spine. 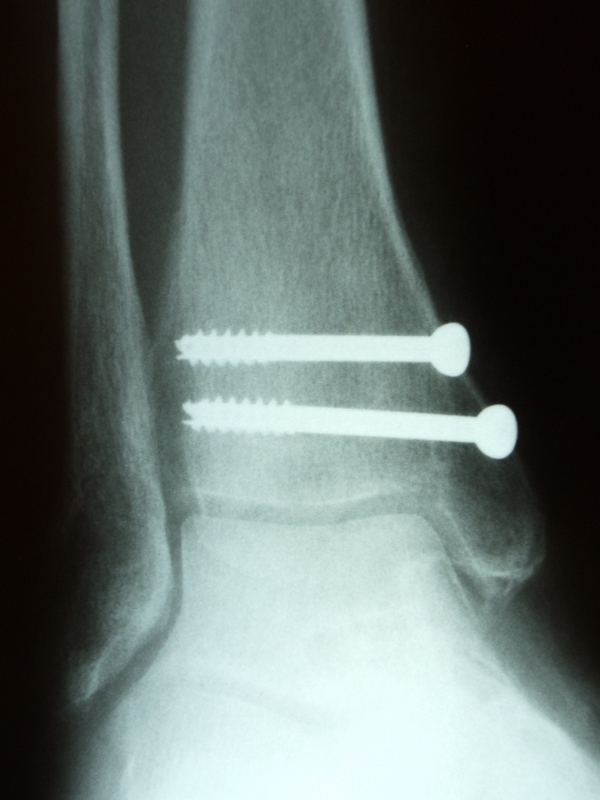 As the problem progresses, pain can become severe causing an inability to weight bear or participate in any activity.